The multiplayer mod appropriately titled Skyrim Together has finally entered closed beta after years of development. The mod allows owners of the game to join their friends and explore the world of Tamriel on servers of 2-8 people. 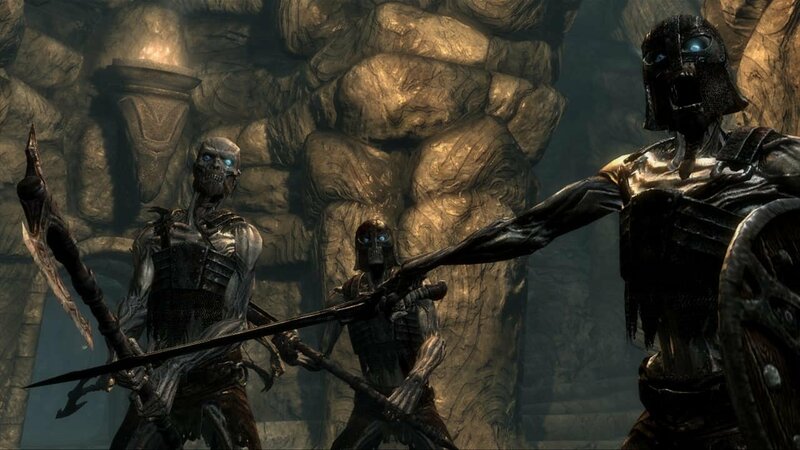 While fans of the game have been asking for multiplayer for years, the game’s official developer Bethesda hasn’t decided to add the feature, going as far as to block the Skyrim Together mod from receiving an official Steam release. As of right now the mod is only available for Patreon backers, however the mod should have an official release within the next few weeks when players will be able to download the mod for free. If you can’t wait till then, all it takes is a $1 donation to the Together team to gain access to the closed beta. Register an account at and connect their Patreon accounts. Install the Harbor launcher from the mod’s website. Once in-game, hit RCtrl to open up the custom UI. From here, fans will be able to invite friends with copies of the mod. The Elder Scrolls 5: Skyrim is available for PC, PS3/PS4, Xbox 360/Xbox One, and Switch.